Folkmoot benefits each school year from an amazing array of talents and contributions from (mostly) college students who serve as interns. And, well, we like to think they benefit enormously, too, from their time with Folkmoot. 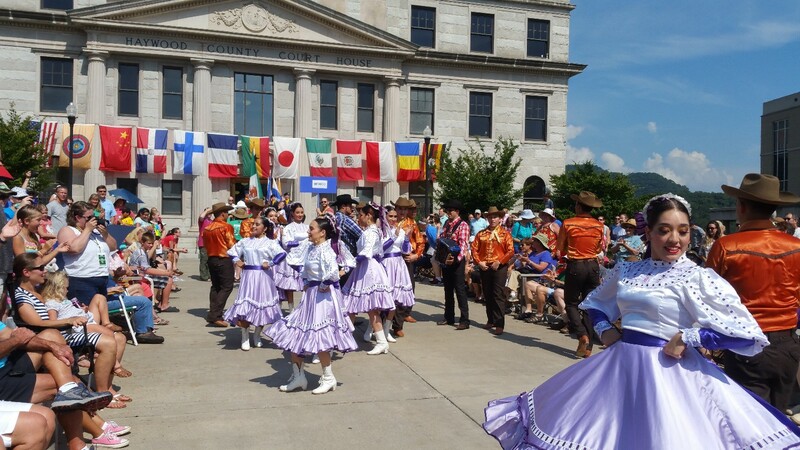 Folkmoot 2018 is set for July 19-29. Tickets for many performances are already available online. Click here for more information about this year’s festival. A student intern serving this spring from Western Carolina University is Jansen Haneline (pronounced, “YAHN-sen HAYN-lyn”). Folkmoot staff members have noticed Jansen has a keen sense of detail, is a great writer and is truly inspired by international culture. Jansen has helped with Cultural Conversations work, marketing pieces and will play a big role in guide training this spring. 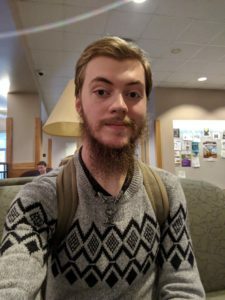 “I am currently in my sixth semester as an undergraduate at Western Carolina,” explained Jansen. “My studies include everything and anything related to the interconnectedness of global politics, human cultures, and language. “After I graduate in May 2019, I plan to move to Sweden to pursue a MS in Global Studies from Gothenburg University. “In the Autumn of 2016, I studied abroad in Oulu, Finland where I became hooked on being immersed in foreign cultures. To remedy going all of 2017 without travel, I will be spending a month in Stuttgart, Germany via the German language faculty-led program and then I will be spending the Autumn 2018 semester in Linköping, Sweden for a total of seven months abroad. “When I am not studying, I am most likely working on something related to one of my many on-campus activities. Currently, I am serving as a Study Abroad Ambassador, iPal to exchange students, course tutor in anthropology and political science, the President of the Anthropology Club, and the Secretary of the International Studies Club. “When I am not involved on campus, I am either writing and playing music with friends, hiking somewhere in the Appalachian mountains or playing video games with my cousin online.